Home / 2011 / July / 05 / Read the Label before you Bite into that Brownie! 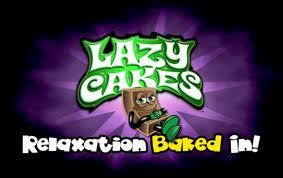 You may have heard about a product called Lazy Cakes which contain various combinations of melatonin, valerian root, rose hips. These ingredients are intended to “relax” the consumer. One serving size of a Lazy Cake contains 3.9 mg of melatonin which is 10 times the amount we normally have in our bodies. The major problem is that most consumers don’t realize one Lazy Cake contains 2 servings, and when eaten in its entirety contains 8mg of melatonin. So, what happens when you eat a brownie laced with this much sleeping hormone? First you will become increasingly drowsy. Secondly, you will experience a slight decrease in body temperature and an increase in heart rate may occur as well. Controversy has arisen regarding the marketing methods associated with these products. 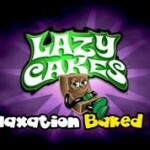 For instance, the packaging of the Lazy Cake features a psychedelic looking brownie lounging back with heavy eyelids and a “pleasing” smile. The labeling has also been the source of some debate due to the small warning which advises consumers that the product is intended for adult use only. However, there have been multiple instances of adults giving a child the Lazy Cake or a child finding and eating the cake thinking it’s just a regular sweet. From our viewpoint, the idea of purchasing a medicated snack cake poses several problems. Namely, the risk of accidental ingestion by toddlers is going to be great due to their inability to distinguish these medicated snacks from other everyday tasty treats. Secondly, adolescents, teenagers and young adults may not truly appreciate or may completely ignore labeled “dosing” recommendations and/or warnings on the label. Melatonin and other herbals such as valerian root, which are properly labeled and are sold in child resistant safety containers, are available in pharmacies and health food stores. When not in use they should be locked and stored out of reach of children, just as any other prescription and non-prescription drugs. If you need to relax, we think it’s a better idea to take a short power nap, to take a brisk walk, do a few stretches or twist yourself into a yoga position. If you feel you are having an adverse reaction to this snack product or if you suspect an accidental ingestion by a child please call the Illinois Poison Center at 1-800-222-1222. Now please excuse us while we go enjoy an iced mocha café blast because the temperature is expected to hit 94-98 degrees today.